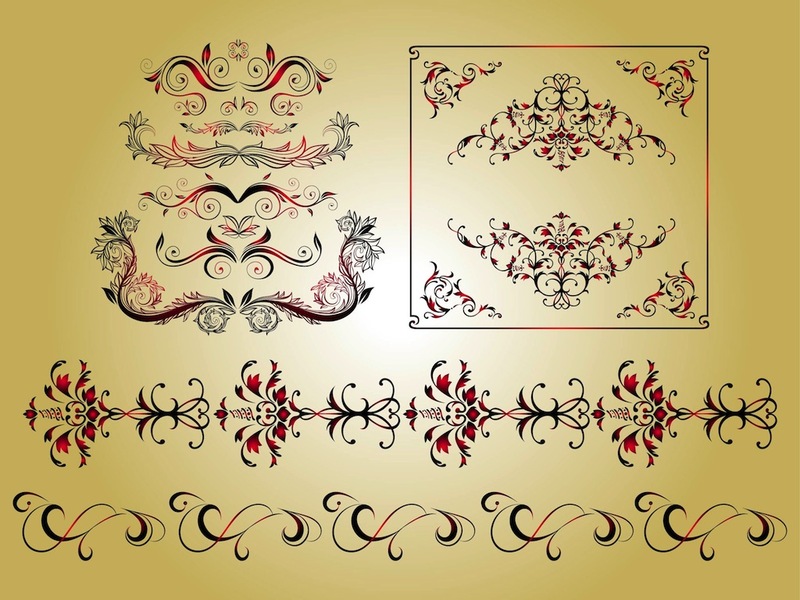 Various vector floral decorations. Gradient shades of the main colors used and many different decorative shapes. Long strips of swirling flowers, symmetrical compositions with leaves and petals and a square frame filled with small flowers and swirls. Free vectors for flowers, floral and nature designs. Retro Decorations by Abid Ali.